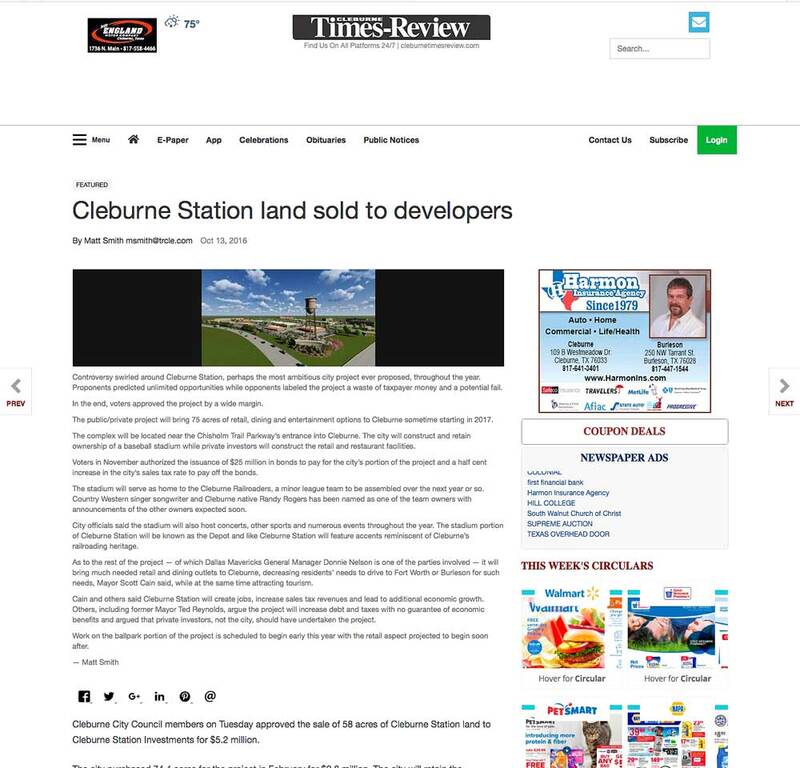 Controversy swirled around Cleburne Station, perhaps the most ambitious city project ever proposed, throughout the year. Proponents predicted unlimited opportunities while opponents labeled the project a waste of taxpayer money and a potential fail. In the end, voters approved the project by a wide margin. The public/private project will bring 75 acres of retail, dining and entertainment options to Cleburne sometime starting in 2017. The complex will be located near the Chisholm Trail Parkway’s entrance into Cleburne. The city will construct and retain ownership of a baseball stadium while private investors will construct the retail and restaurant facilities. Voters in November authorized the issuance of $25 million in bonds to pay for the city’s portion of the project and a half cent increase in the city’s sales tax rate to pay off the bonds.